Clinical Solutions was established to provide efficient, expert solutions to health care providers and to the individuals that they serve. 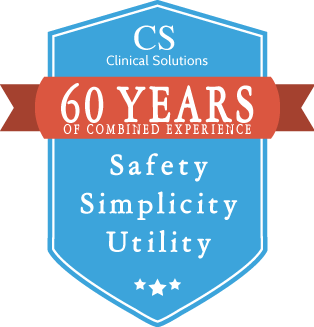 Clinical Solutions is a supplier of specialized durable medical equipment and advanced technologies intended to make a difference in clinical outcomes. Our approach is unique in that we perceive ourselves as an extension of the services provided by our customers to their customer base. As such, we perform at all levels in our organization in a manner that we believe to be consistent with that which would be expected and demanded from your own professional and paraprofessional staff. We approach every opportunity to serve with courtesy, patience, caring, understanding, conscientiousness, accommodation and thoughtfulness. We are sensitive to the needs of all parties. We are available to service and deliver our equipment twenty four hours a day. We recognize the need for equipment that is well maintained and assurance of cleanliness during its use. We call our clients on a consistent basis to assure that their needs pertaining to our equipment are being met and respond to any requests for service. Those individuals who are the end users of our equipment often don’t differentiate us from their primary provider of services. With that understanding, we promote your image to the customer with positive interactions. In all care delivery settings we avail our services to staff for product in-servicing and acquaint ourselves with the caregiver. We inform them that we are providing equipment and encourage them to contact us if service is required. We value our business relationships and always represent you in the most positive light. Our services extend to those patients being cared for in Hospice. We understand the nature of Hospice and that of the provision of palliative care. We understand the objective of providing the cornerstone elements of palliative care including comfort, dignity and the freedom to accomplish quality-of-life objectives. The goal in this environment is above all else the quality of the experience. 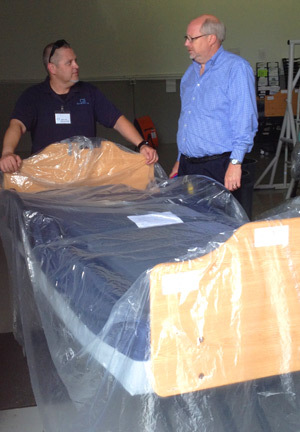 This quality is in part the care and comfort provided to the hospice patient. The goal of palliative care is to minimize symptoms including reducing discomfort and pain and providing for optimal functional capacity. In other words, improving the quality of living and dying. With this understanding we strive to reduce the pain and discomfort that frequently accompany full body positioning. We select and provide special mattress systems and seating cushions that afford comfort and function as much as for clinical effectiveness in managing real or potential soft tissue injury. There exists a certain degree of confusion regarding the transition from a curative treatment plan toward a plan that focuses on symptom modification and wound stabilization. In Hospice, patients are often frail and immobilized and complete wound healing may not be the ultimate goal of therapy. Our experience has taught us that the higher the quality of product the higher the quality of the experience. We provide the same equipment to our Hospice patients that we provide to those patients seeking aggressive therapeutic interventions in the acute and sub-acute care settings. The comfort afforded by these systems is a benefit consequent to their quality and therapeutic capabilities. In Hospice, seeking the highest level of comfort in palliative care parallels seeking the highest level of therapy required in curative care. Quality systems are inherently comfortable because of their design and material base. We are sensitive to economic issues and price our systems accordingly. Our equipment, understanding and commitment to service are the differences we provide to enhance the quality outcomes that you seek. Our partners offer the benefits of 60 years of combined experience gained from previous positions in the healthcare industry. Get the lastest news, tips & special offers. © 2014 Clinical Solutions. All Rights Reserved.